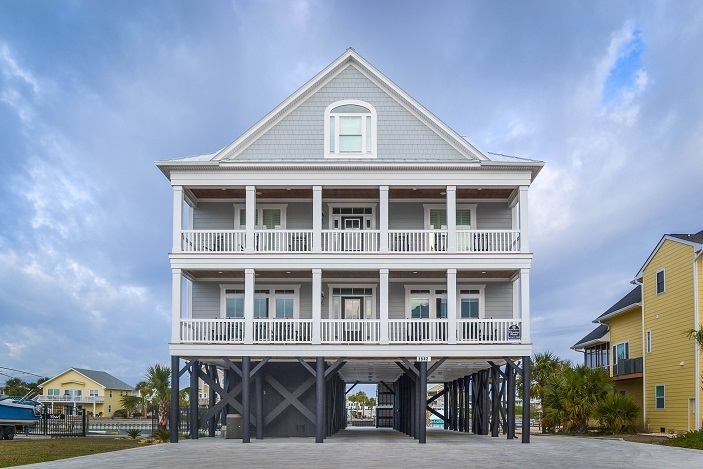 - Brand New 3 Story 2nd Row/Creek Front Beach Home with 9 Bedrooms & 9.5 Baths. 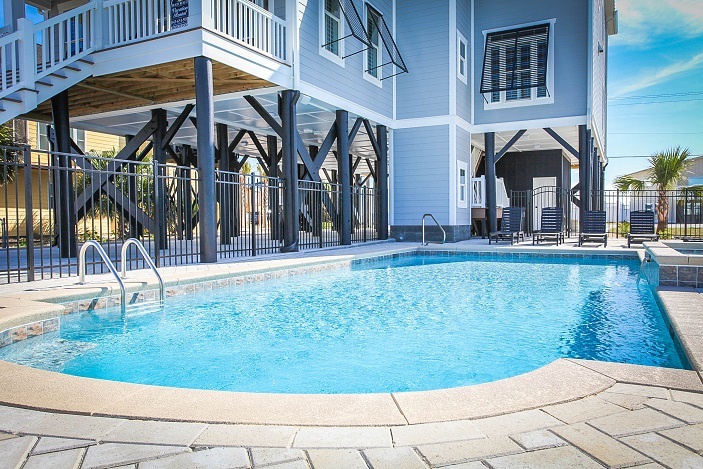 Williams Wharf Features a Private Swimming Pool 16 x 36 w/ Kiddie Pool (Seasonal Pool Heat Available w/ Fee), Private Boat Launch and Private Floating Dock for boats up to 31 feet, Approximately 5200 Heated Square Feet, and Much More!! Brand New Construction for 2017, Professionally Maintained Private Pool, Kiddie Pool, Pool Dimensions: 16 x 36, Kiddie Pool Dimensions: 8 x 10, (Seasonal Pool Heat Available w/ Fee), Paved Parking, Professionally Landscaped Grounds, Non Smoking, No Pets Allowed, More Details Coming Soon. Professionally Decorated, Central A/C Heat, Wi-Fi Internet, 65" Flat Screen in Living Room, Flat Screen TV in Every Bedroom, 2 Washer/Dryers, Fully Equipped Kitchen w/ Gas Range, Double Ovens, 42" Built in Refrigerator, Breakfast Bar, Additional Large Refrigerator in Pool Area. Loved Williams Wharf and the staff at Beach Realty. Excellent experience with Beach Realty. Williams Wharf is an outstanding house. 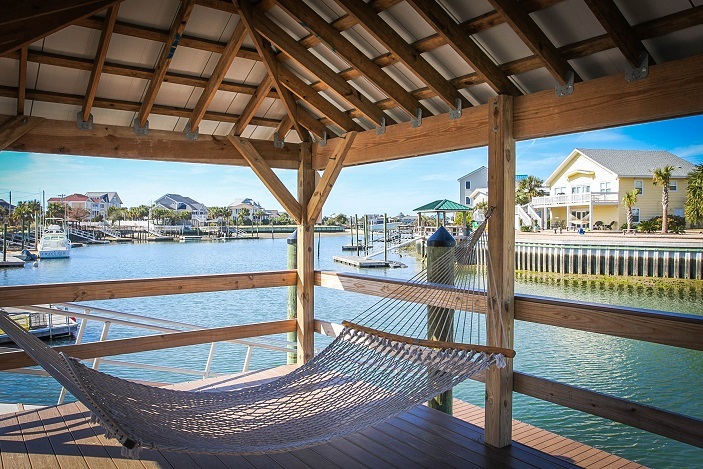 Convenient to both the inlet and the beach. Thoroughly enjoyed our week! We had a fantastic week staying at Williams Wharf. There were great views from all windows in the house either of the ocean or the inlet. The house was very spacious and the location was quiet and there was very little traffic to deal with crossing the highway to the beach. William's Wharf is an amazing property. Every morning we watched the sun rise from the front porch rocking chairs and the sunset on the back porch. It is beautifully designed for an extended family retreat with a great flowimg kitchen and two large table. The heated pool provided hours of fun for the pre-teens while the teenagers lived on our boat and jet skis with easy back dock access. A total package - we will be back! this was a wonderful location and property. we had 24 people on a family vacation and we all extremely pleased with the property. The pool was wonderful, the dock was an added bonus,and the walk across the street to the beach was never an issue. All ages had a great time fishing, riding the jet ski, and taking short boat rides to Murrell's Inlet for lunch or dinner. we will definitely be coming back to this location next year. We have rented at least 10 different properties in the last 17 years, and this was by far our most favorite.